Peggy is delighted to join Lion’s Paw Theatre’s reading series ‘Plays on the Menu’, as doing readings is one of her favorite ways to keep her acting muscles stretched. Recent appearances in St Louis include Mrs. Sorken/Mrs. Sorken/Mustard Seed Theatre; Margie Hallaby/Goodbye Ruby Tuesday/HotCity; Barbara Ellen/The New Century/Max & Louie Productions (2012 RFT Best Actress), Ima/The Immigrant/New Jewish Theatre (2012 Kevin Kline Best Supporting Actress), as well as productions with The Repertory Theatre of St Louis, Avalon Theatre, Muddy Waters and STAGES St Louis. Peggy serves on the Artistic Advisory Board for Mustard Seed and is represented by TalentPlus. 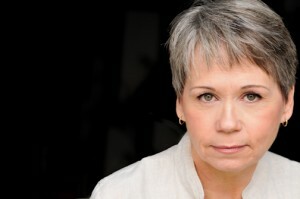 Member of AEA, SAG, and AFTRA.